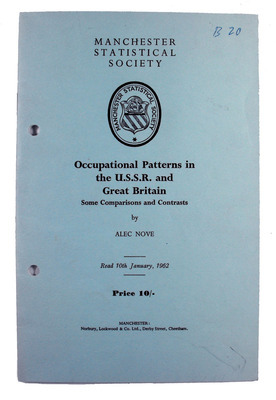 For over thirty years Alec Nove was the most distinguished Sovietologist in the United Kingdom, enjoying international recognition for his insights and expertise on the Soviet Union and his perceptive criticisms of policy in a post-Soviet economy. 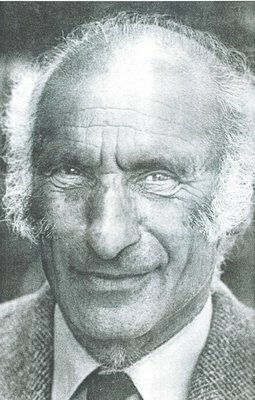 Alec Nove was the first holder of the James Bonar Chair of Economics and first Director of the Soviet and East European Studies Institute. 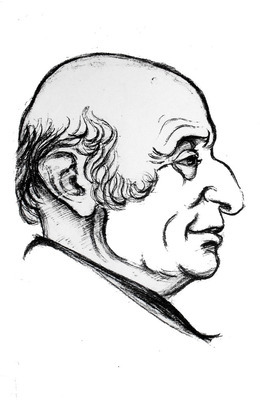 His books (through successive editions) on the Soviet Economic System and the Economic History of the USSR were highly influential as he was one of the first to probe behind the Soviet bureaucracy and detect more problems and inefficiencies than were generally recognized by Western observers. He managed this despite being unable to visit the USSR for long periods, having been blacklisted (with others) by the KGB in retaliation for the expulsion of Soviet spies from Britain in the early 1970s. He was not able to return ��" apart from a conference in Moscow - until the Gorbachev era. Nove’s influence was demonstrated when he was one of eight academics invited to a six-hour seminar at Chequers, convened by Prime Minister Margaret Thatcher in 1983, in order to discuss government thinking and policy towards the USSR with her, Foreign Secretary Geoffrey Howe, Minister of Defence Michael Heseltine and the Minister of State at the Foreign Office, Malcolm Rifkind. The academics argued for a change of approach to the Soviet Union, breaking with President Reagan’s strategy of avoiding contact in favour of greater dialogue and involvement in what was happening in Russia. The PM’s Foreign Policy Adviser, Sir Anthony Parsons, described the seminar as ‘having changed British policy’. "he also had a ceaselessly enquiring mind that would not let him rest content with dogma, academic or political, Soviet or Western." In December 1984, Michael Gorbachev, shortly to become General Secretary to the Soviet Communist Party, was invited to London. The day before his arrival, Nove and Professor Archie Brown, St Antony’s College Oxford, with two other academics, met with the PM and the Foreign Secretary in Downing Street: in Brown’s words, ‘it was a constructive and useful meeting, in spite of the fact that none of the academics came into the category of “one of us” that is to say, the Thatcherite wing of the Conservative party’. Nove was also attached to the British Embassy in Moscow in 1989 as the first Visiting Fellow established to strengthen the Embassy’s economic expertise. He was invited during the Gorbachev era to lecture on economic reform in Moscow, and to write on reform for Kommunist, the theoretical journal of the Communist Party. Brown, Archie. 2004. 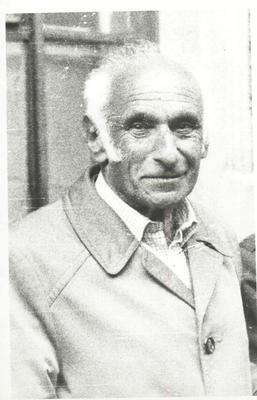 Nove , Alexander (1915–1994). Oxford Dictionary of National Biography. Based on a private communication from Professor Archie Brown, St Antony’s College Oxford, who had associate membership of the Institute during his appointment in Glasgow, 1964-71. 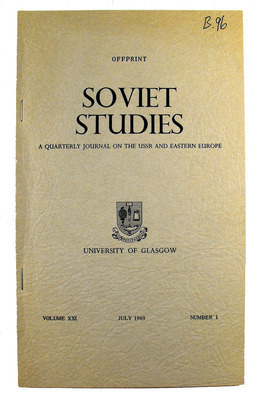 World Changing Project, "Influencing policy towards the Soviet Union," in University of Glasgow World Changing (University of Glasgow, 2010); http://www.worldchanging.glasgow.ac.uk/article/?id=109 (accessed April 22, 2019). World Changing Project. "Influencing policy towards the Soviet Union." In University of Glasgow World Changing. University of Glasgow, 2010. http://www.worldchanging.glasgow.ac.uk/article/?id=109 (accessed April 22, 2019). World Changing Project. "Influencing policy towards the Soviet Union." University of Glasgow World Changing. University of Glasgow, 2010. 22 April 2019 <http://www.worldchanging.glasgow.ac.uk/article/?id=109>.